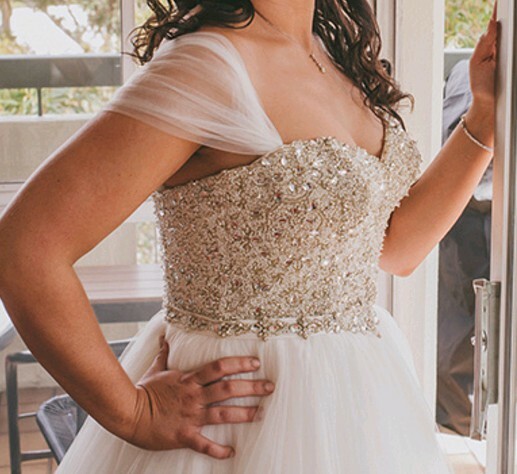 This Beautiful wedding dress was only worn in September 2016. It was purchased from Abbey Bridal in Sydney CBD last year and I have copies of receipts if need be. I had a dress maker sew on the arms straps. I'm 169cm tall and i was wearing 7cm heels on the day and the dress length was perfect. I have not had the dress dry cleaned however i'm happy to do this before selling. I live in Sydney and i'm happy for you to come over and have a look. Once you send a message, Yvette can invite you to purchase the dress.